Lin has brown eyes, straight brown hair with short bangs parted in the middle with long side strands of hair on both sides of her head. The length of her hair goes past her waist, and the end is tied with a pink ribbon. She wears a standard salmon colored jinbei uniform with a yellow undershirt and blue apron that most of the female staff wear. Lin is very strong-hearted, stubborn and occasionally bossy. Although she has a good heart and cares for Chihiro, she is quick to defense, and her attitude and words are often sarcastic. She is also very protective, as she hides Chihiro when sneaking to the top floor to see Yubaba, and also comforts Chihiro while attempting to cure the River Spirit by telling Chihiro she won’t let him hurt her. But she is not always cooperative. Kamajī need to give her a Roasted newt to change her mind to accompany Chihiro to Yubaba. Later on, she use the salamander to sidetrack her co-worker from Chihiro’s human smell. When Chihiro get a job in the Bathhouse, she is totally happy about it. 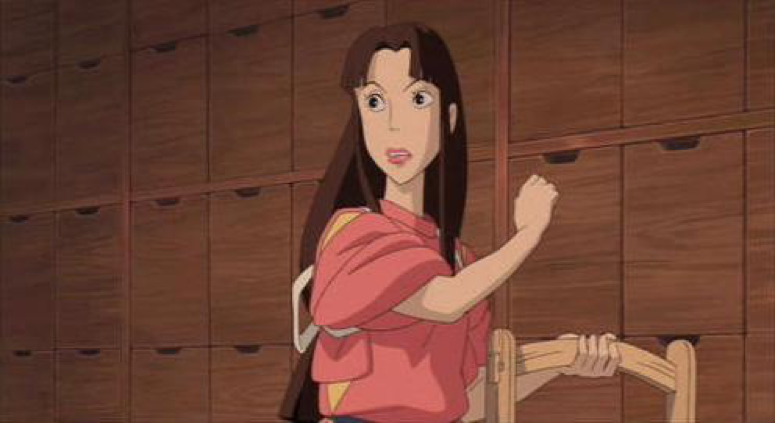 IS LIN IN SPIRITED AWAY NOT HUMAN ? IF NOT, WHAT KIND OF CREATURE IS SHE ? Yes, she isn’t a human. She is a transformed spirit of a Byakko, a white fox that brings people happiness. In short way, she is a white fox spirit. From Spirited Away wikia’s page: “According to The Art of Spirited Away” book, during the earlier stages of her design, Lin is the transformed spirit of a Byakko , which is a white fox that brings people happiness and is the representation of kind fox spirits. However, this was not mentioned anywhere else, and is likely to be only an early concept. Older How long was Chihiro in the spirit world ?